Electrochemical machining (ECM) is widely used in modern aircraft engine technology. This method was developed on a step-by-step basis in accordance with development of gas turbine equipment. Introduction of new difficult to machine materials into engines designs and improvement of accuracy of detail geometric parameters required new technological solutions. ECM method has a number of advantages: zero tool wear, the process does not depend on physical-mechanical properties of work piece material, no heat and force action on a work piece; these facts provide high quality of the surface layer and increase engine life. However, electrochemical machining has also disadvantages which essentially limit its applicability. This is primarily a low localization of ECM process. In order to eliminate this disadvantage new ECM schemes were developed, inter-electrode gap was reduced, switched mode power supply units, vibration of electrochemical machining electrode, etc. were used. Electrochemical machines design became more complicated and ECM operations design techniques required new solutions, therefore the scientific inquiry in this area continued intensively. 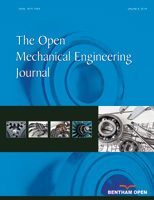 Rapid development of computer technology contributed to the creation of digital models that adequately describe processes in the inter-electrode spacing at ECM. It is necessary to create electronic databases for various electrochemical metal-electrolyte systems, to develop techniques to simulate electric fields in the inter-electrode spacing, and to profile tool electrode automatically. The authors carried out active researches in this area at all stages of ECM development; they have a large number of publications in the field, including 4 monographs.